All of us remember the fairy-tale "Ali-Baba and forty robbers", astonishing "Sezam" and it's misteries. In Arabian fairy story "Sezam" was an entrance of a cave where much-much treasure was kept. For Bukhara people "Sezam" means bit more today. Any Restaurant must have something clled "raisins", other way it looks like a snack bar. 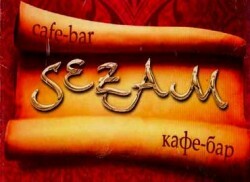 The "raisins" of "Sezam" are: excellent servise, exceptional atmosphere and delicious meals. Here you can find uzbeknational dishes, Evropean meals, Italian pizza, coctails, coffe and tea. We are looking forward of meetinfyou here.